It can also be found on the excellent Martin's Motorsport Page, along with other cars in that same class. 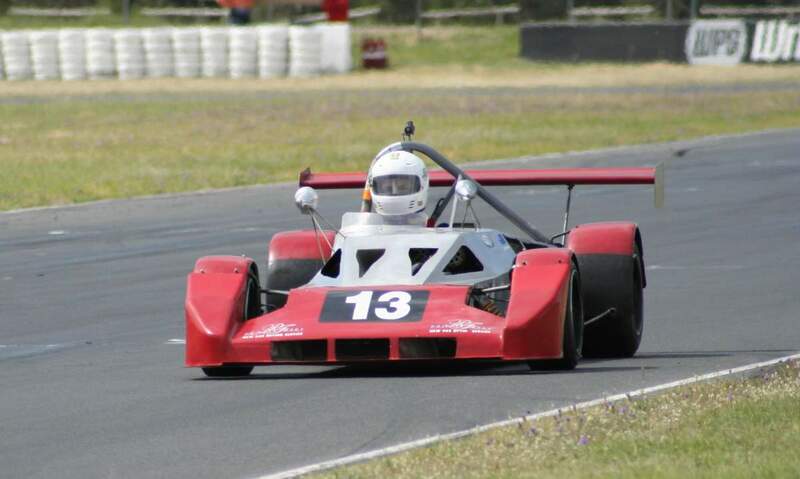 It's a licence-built Mallock Mk31, albeit somewhat modified over the typical Mk31. 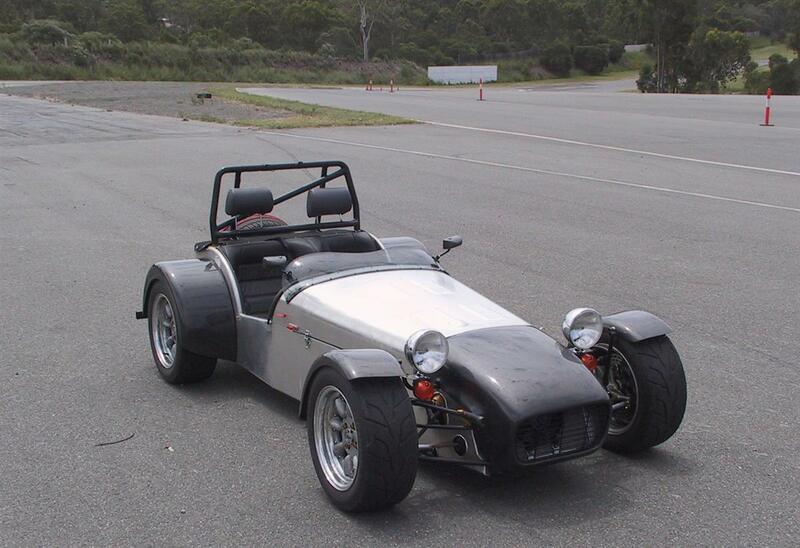 It'll initally have a Nissan SR16 1.6 litre engine and a Hewland Mk9 transaxle right down the rear of the car. 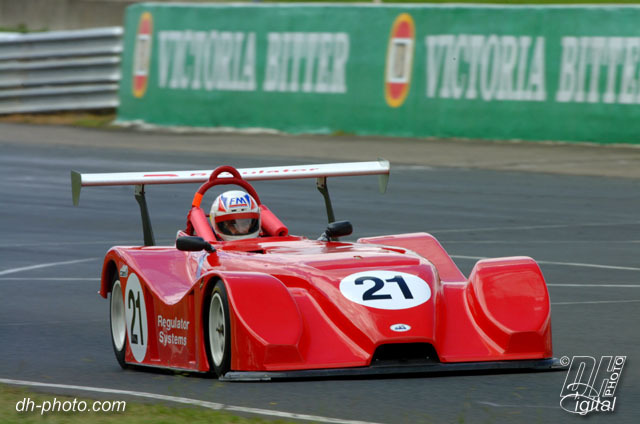 Again, for check out my New Racing Car page for more info. 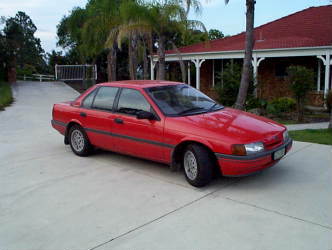 My favourite road car is my 1984 Toyota AE-86 Sprinter, also known as a GT Corolla overseas. 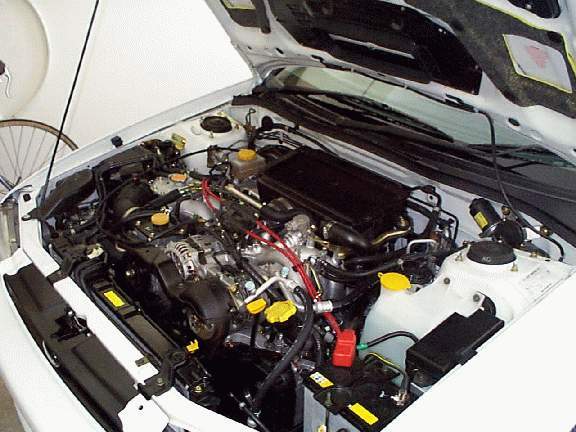 It’s powered by the superb Toyota 4AGE twin cam 1600cc 16 valve engine. 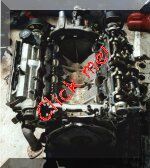 The current engine is a somewhat modified ‘100kw’ (134hp) RWD ‘small port’ 4AGE - The mods include a lot of headwork, a pair of 290° 0.380” lift cams, a 20v 4AGE inlet manifold, forged pistons, lightened crank & rods, NEVO underdrive pulleys, adjustable cam pulleys, etc. This engine will stay in the car until I take it off the road for a major rebuild, then some time later in 2003 a warmed-over 3SGE & 6-speed gearbox will be fitted. 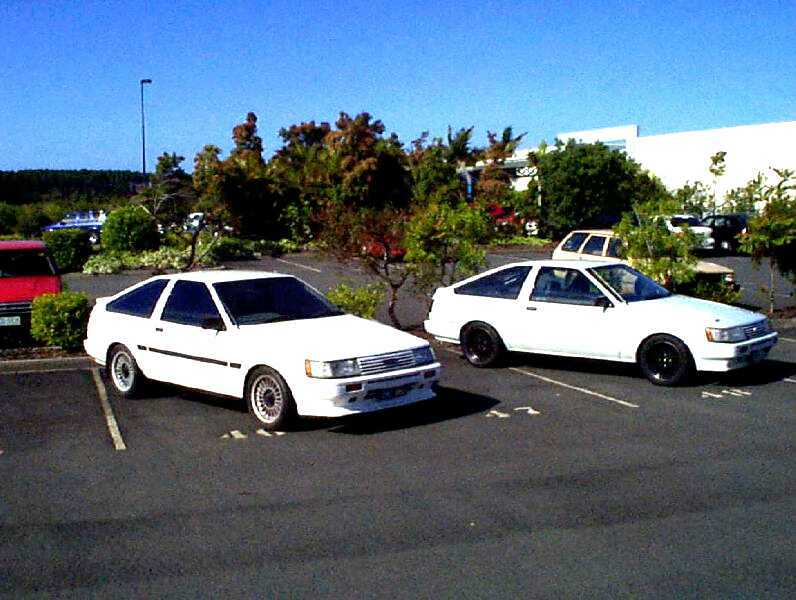 I have a Toyota KE-55S two door Corolla rally car. It’s off the road at the moment, and hopefully should be running again in about 2009 (??) 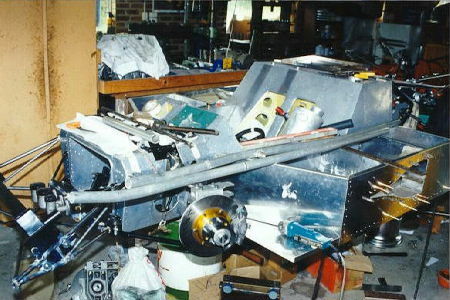 The car has been extensively modified for heavy rally use - The body is fully seam welded, it has a full steel roll cage, full rally suspension, four wheel 10” disc brakes, a ‘turreted’ rear end (A TA-22 Celica diff with the shock absorbers mounted vertically instead of at an angle), a fully adjustable-in-every-direction front suspension, an 1800cc turbo twin cam 3T-GTE engine, (since been sold) and (too!) many other rally oriented mods. 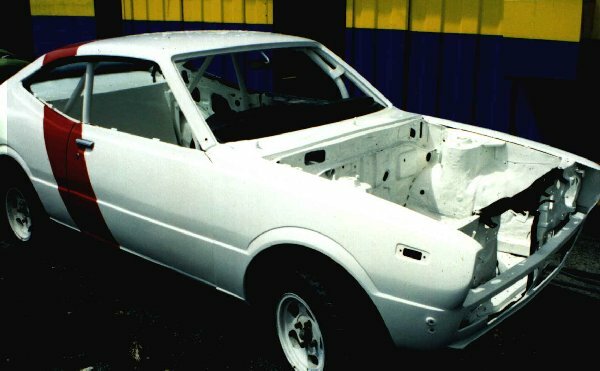 Even further mods planned are to fit it with a modified Suzuki 2.7 litre V-6 and a Ford Sierra 4WD gearbox, I estimate that it will be about 350hp, so the 900kg car should be a real rocket. This is it, currently under major re-construction. It'll be running again in about 201? sometime, and so is a long term project. 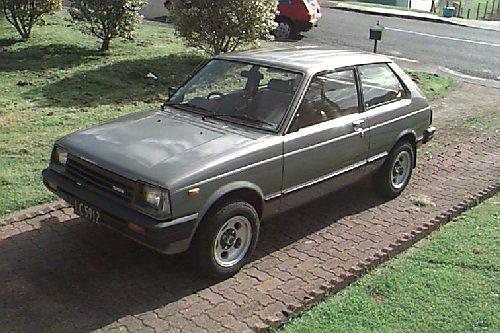 In September 1998, while I was living in New Zealand, I bought a Toyota Starlet, a 1983 KP-61 rear wheel drive model. 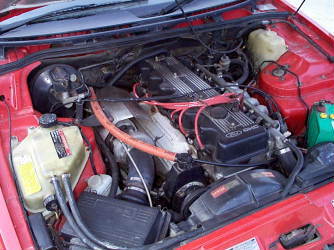 I've taken it back to Australia with me, and am adding a 240hp 4AFE to it. On the road in August 2005, my latest project is a Fraser Clubman, and I plan to run it in the 'Targa Tassie' type road racing events in Australia as soon as possible after it gets sorted out. 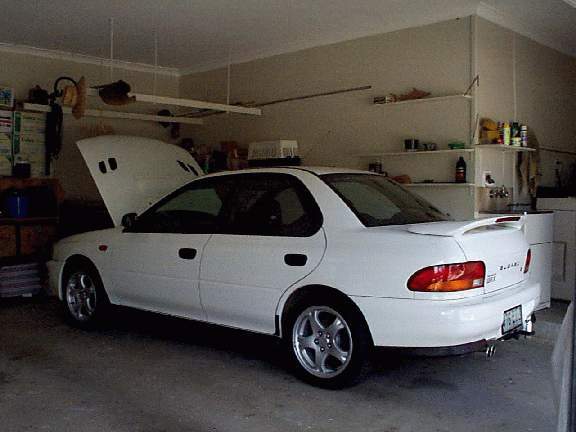 I have a Toyota Altezza two-litre twin cam 3SGE with twin variable cam timing and a 6-speed gearbox for it. Check it out here. My Dad has a couple of fast cars as well. The car's a real 'sleeper', and it's great fun to blow away V-8's - Whilst towing a loaded trailer! It originally came with a 5-speed manual gearbox, but we always had trouble with the clutch on it, so, in mid-2000 it had a 4-speed electric-overdrive lock-up automatic gearbox grafted into it. 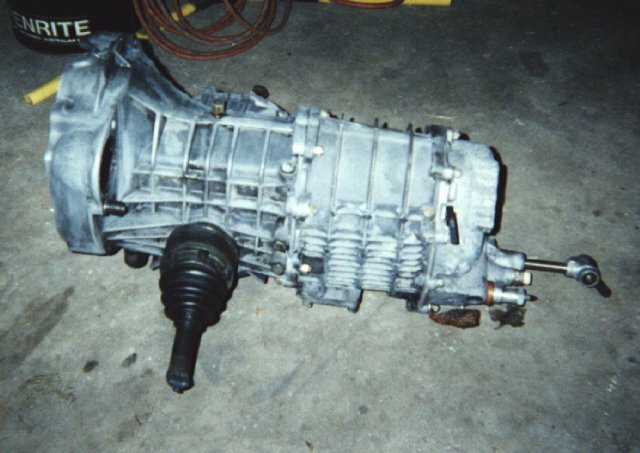 As far as we know, it's the only EA Falcon with that type of gearbox, as the early model EA's only ever came out with the 3-speed all-hydraulic box. Unfortunately, for various reasons this has made the car a lot slower than it used to be, though it's still got plenty of torque. It was sold in November 2005 to another car enthusiast. His other car is a circuit racing sports car. At the moment it's not finished, but when it is it'll be a real weapon. It's a semi-monocoque construction, and should weigh under 500kgs (1100lbs) when it's complete. To push it along it was planned to have a Madza 12A peripheral port fuel injected rotary, which has ~270hp on tap, so the car will be able to put in some lightening fast lap times. Just about everything in the car has been hand made, because of the need for specialised parts that can't be bought 'over the counter' to suit. Even for the centres of the three piece wheels we had to carve out a block of wood to make a mould and then get them cast up out of alloy. All of the suspension uprights are also home made the same way, as is the engine mounts and all the fibreglass parts are made the hard way too. 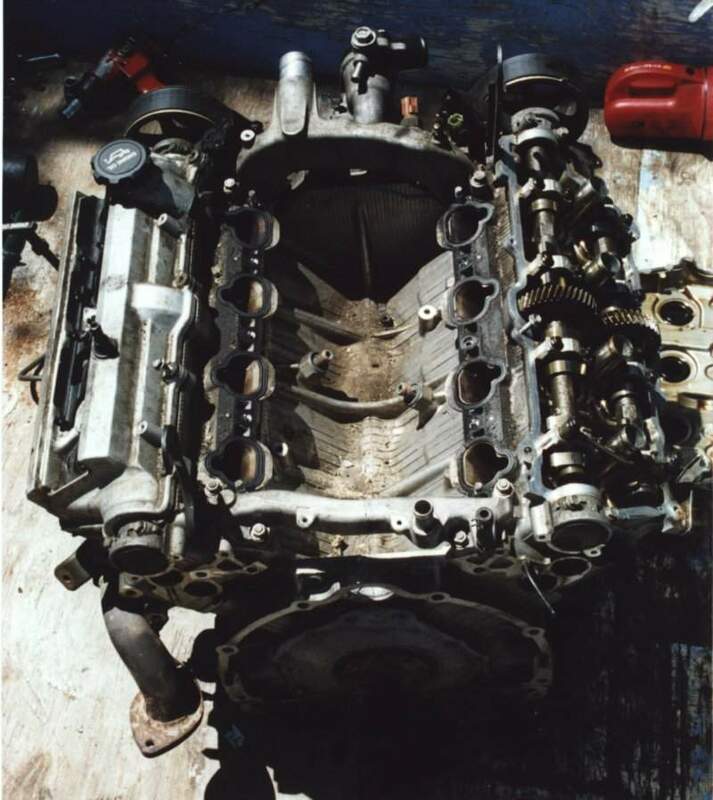 In late December 1999, I came across a much better engine to use in the car - a Toyota/Lexus 4 litre all-alloy quad-cam V-8. I figure that with some reasonable mods we can get a good 450hp from it, so with the eight inlet trumpets sticking up out of the engine cover in the back it'll look a lot like the old McLaren Can-Am cars of the late 60's & early 70's. 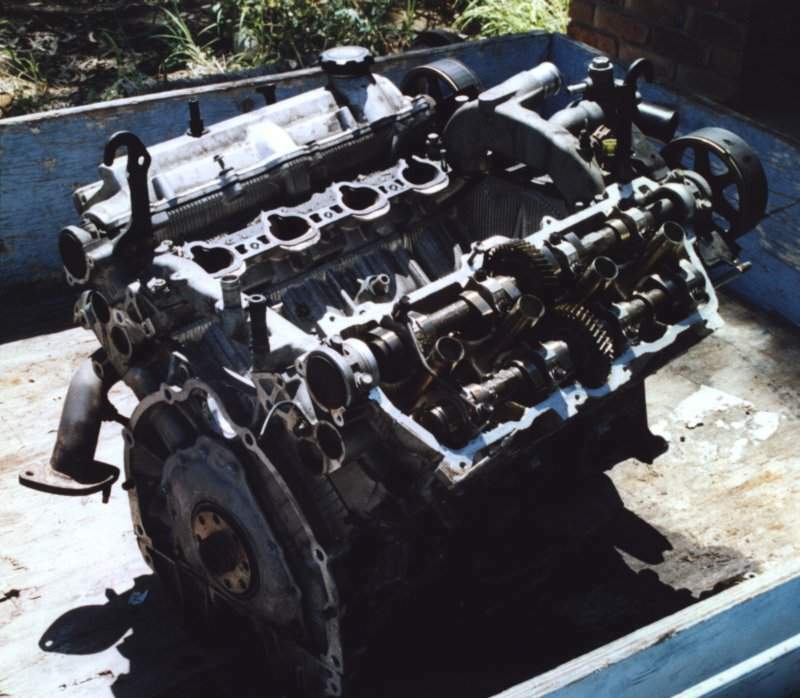 Here's a couple of pics of the engine, just after I picked it up from the wreckers. 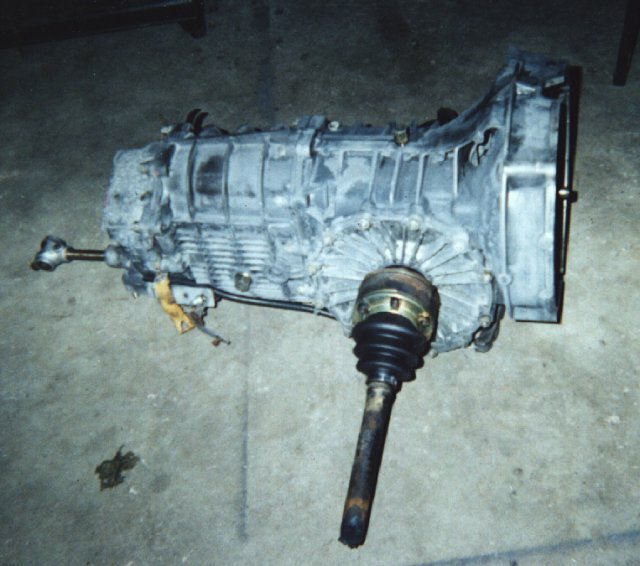 I managed to pick up a Porsche 911 gearbox for it, as we'll be needing something that strong to take the huge amount of torque that the V-8 will make. Here's a couple of pics of it, just after it arrived home. Here's a picture of our workshop. 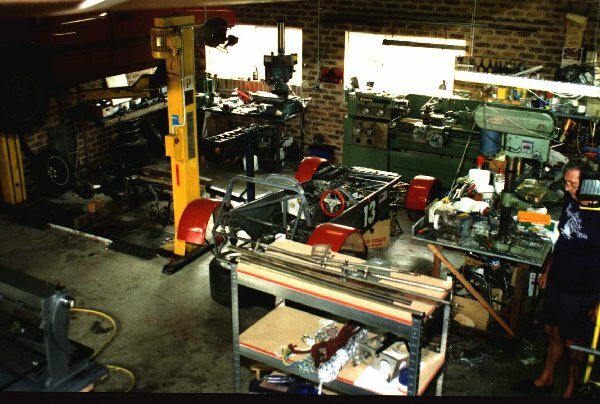 From right to left - A combination roller/guillotine/bender, a two post hoist, a small milling machine, a large lathe, a drill press, my Father, and in the middle my racing car under some degree of work. 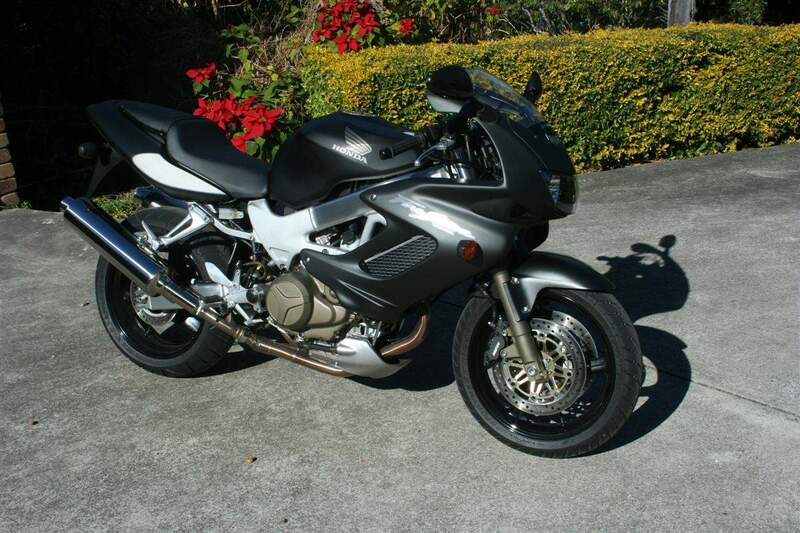 My latest toy isn't a car, but a Honda VTR-1000 Firestorm motorbike. 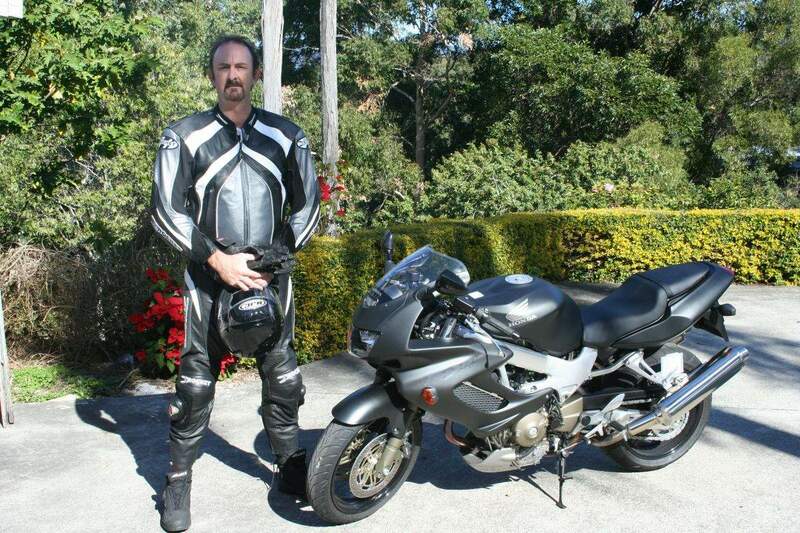 I got my bike licence in early 2005, but didn't get around to buying a bike until July 2006. Since I did a special course with the local transport authority that lets me ride any sized bike I like right from day one, I bought a 'big bike'. It's possibly not the best bike to have for the first one but I'm being very careful and haven't put a scratch on it so far.